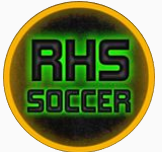 RHS Varsity earns convincing victory over Bothell 3-0 in KingCo league match! Match day found the RHS fans enjoying the clear skies and full moon of yet another beautiful evening in the Pacific Northwest. The Stangs started with some pep in their step and were able to apply offensive pressure via their usual suspects on the wings. An early RHS corner resulting from a dangerous Rabadan run caused all sorts of concern for the Bothell keeper but he was able to collect and distribute to safety. The Bothell free kicks that did materialize were controlled in the air with ease by the likes of Wiyrick, Tibbs, Gordon, and Doyle. 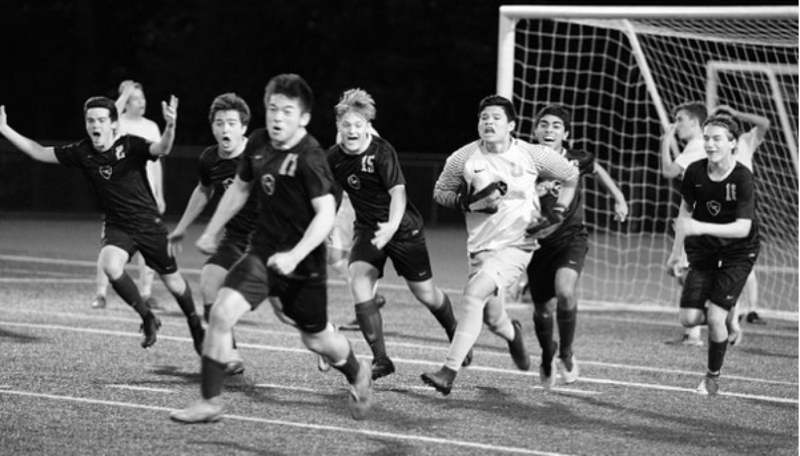 In a rare moment of Redmond duress, RHS keeper Escalante found himself in a spot of bother with a tricky ball at the outer reaches of the 18, needing to quickly smother the ball in the face of a rushing Bothell forward. Mid first half, a long ball served up with pinpoint accuracy by Wiyrick found Rabadan at the top of the 6 yard box who performed a magical loop de loop kick over the head of the keeper and gently into the back of the net! Redmond kept the pressure on -throughout the first half with scampering runs and multiple through-ball attempts. A few minutes later, a well placed through ball from Dadzie to a speedy and steamrolling Hernandez ended with a strong strike and goal. Nice finish! For a short while, all of these amazing soccer happenings on the field were overshadowed by the athletic prowess of an unknown RHS fan (and/or alum?) who reached towards the heavens and delicately fielded a high arcing ball which had been cleared far up into the RHS stands by “The Beast” Wiyrick. A deafening roar of approval erupted from the crowd – a thunderous cheer like none other – which ended with complete strangers high-fiving each other in celebration of what they had just witnessed. …Back on planet Earth, the Stangs were up to their old tricks in the second half, with Tibbs performing some magical defensive Houdini-like escapes with deft footwork. There were a few errant RHS close-proximity passes which turned the ball over, but to the Stangs’ credit they were able to use their quickness to eventually regain possessive control. Stein almost cashed in on a high speed attack down the left flank which ended a step too soon with the Bothell keeper scooping the ball up and out of danger to the dismay of all Redmond fans. With a short time left in the match, a short negative pass from Dadzie ended with a delicate back heel by Stein, splashing through the pool of tears from the Bothell keeper and into the back of the goal. The end of the match saw another RHS victory and clean sheet! Previous postRHS Varsity blanks Gonzaga Prep 4-0 in Saturday morning breakfast club match!